Dubai, UAE, January 24, 2019: “On India’s 70th Republic Day, we are not only celebrating our constitution which stood the test of times but reiterating the unity in diversity. This year is especially important as it also marks the 150th birth anniversary of Mahatma Gandhi who was an NRI. On this momentous occasion we fondly remember our home land, which has given us the basic ingredients and foundation to live our lives to the fullest and achieve our dreams. Looking back, India’s growth has become more stable, diversified and resilient with the economy expected to grow at a rate of 7.2% in 2018-19 according to a report by the Central Statistics Office. There is a long way to go in areas like healthcare, though the future looks bright. Rising income levels, greater health awareness, and improved access to insurance will be the driving forces in India’s health sector growth. The world’s largest free healthcare scheme to cover 500 million people called Ayushman Bharat is likely to transform the sector. The private sector continues to be a vibrant contributor to the healthcare sector – we are proud that we have become one of the major players in India with presence in 5 states. We did our IPO in India and Aster DM Healthcare is now one of the leading 3 healthcare service providers in the market. 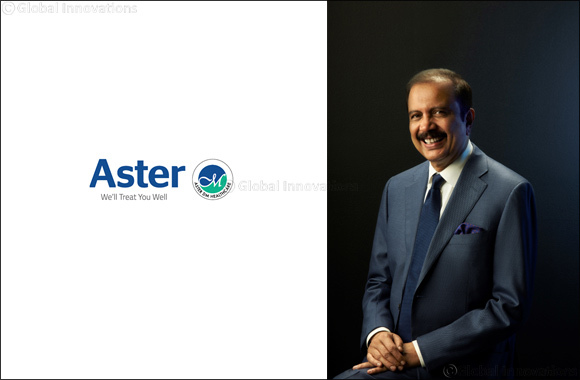 Founder Chairman & Managing Director of Aster DM Healthcare.